The Villages checked in as the fastest growing metro area in the US, according to the US Census Bureau numbers released today. “If you look at the Orange County data by age … it appears as though families with children have been moving out, as have retirees, but working-age folks and international migrants are coming in,” Doty said. “We can guess that it’s families moving for a better school district — which is something we’ve seen elsewhere in the state, but we don’t know that. 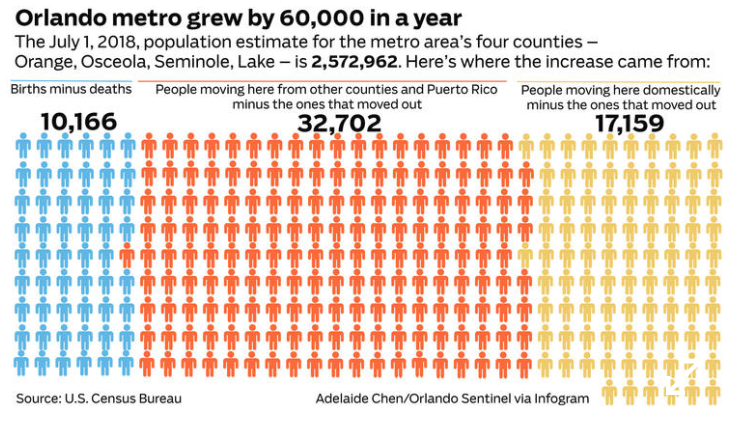 It could also be people working in Orange but living in Osceola or Lake,” where housing tends to be more affordable. Click here to read the entire recap from the Orlando Sentinel. With the influx of people to Central Florida, there can be a direct impact on your homeowners, auto, and business insurance policies. To check how this will affect your personal rates, click here. For commercial rates, connect with us here. 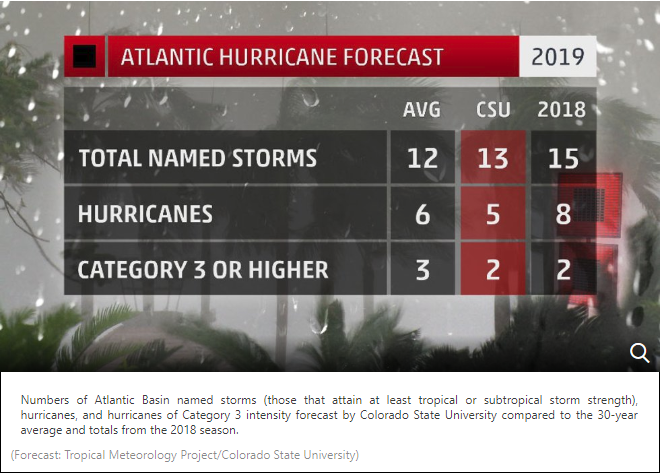 Colorado State University has released its annual hurricane outlook. This coming 2019 season is predicted to have a total of 13 named storms, five hurricanes, and two major hurricanes. You can read the detailed report here, but this year’s forecast “closely matches the 30-year average of 12 named storms, six hurricanes, and three major hurricanes (major hurricanes defined as a Category 3 or stronger. )” Click here for the full recap from Weather.Com. As hurricane season starts June 1st, there’s no time like the present to make sure you are prepped and ready in the event of a major storm. Click here for the National Hurricane Center’s checklist of hurricane preparedness. Certain companies will NOT be able to bind, issue or request issuance of policies providing the perils of Windstorm or Extended Coverage when a hurricane is reported to be within the area bounded by North of 15 degrees North Latitude, South of 35 degrees North Latitude. West of 70 degrees West Longitude and East of 95 degrees West Longitude. This applies to All Risk, Homeowners, Farmowners, Dwelling, Commercial Fire or Commercial Package, Inland Marine or Ocean Marine and Automobile Physical Damage policies on risks of personal or real property within 100 miles of the coast. Connect with one of our agents here, or by calling 407.869.0962 to speak with one of our experts to make sure you are covered this season. 7. Zoning Out: This is commonly referred to as “driving on autopilot.” Make it home but don’t remember the drive that well? You could be zoning out. 6. Not looking at the road: This falls under checking out billboards, scenery, landmarks, anything that can peel your eyes off from the path. 5. 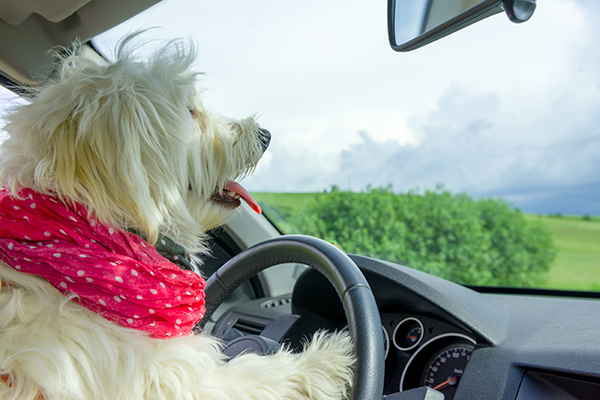 Passengers: Keds, pets, friends, family…they can all pull your attention away from the roads. 4. Grooming: Making sure your hair is in place for that meeting, quickly tossing on a sweatshirt, and other last minute items as you make it out the door can lead to a bigger issue with distraction. 3. Music/Controls: We get it. You want to hear the latest bop and are trying to pull it up. Searching for that perfect tune may just be the thing that causes you to lose focus on the road. 2. GPS: While you just may be turning down the music to find your destination, focusing on your GPS can make you turn a blind eye to oncoming issues, stop signs, lights, and more. This is heightened due to the nature of being in a place you are unfamiliar with. 1. Talking/Texting: Is anyone really surprised by this being the number one reason? Our cell phones have been found to the the cause of 26% of all car crashes. In order to protect yourself against these distractions, make sure you are up to date on your auto insurance coverage. Click here to connect with our local experts who can advise you on how much coverage you need, and shop around to find you a great quote. Wearable technology: it’s not just for you and your friends to compete in closing your rings anymore. More and more workplaces are utilizing it to incentivize employees, encourage employees to use remote healthcare options, and to positively impact the bottom line. So what can these employers actually monitor? The Washington Post took a look at how your every step (and possibly more) can be traced once your employer has access to your tech. Click here for the full story. Outside of the “big brother is always watching” aspect, the direct impact on the bottom line is clear. By offering access to online doctors, less productivity is lost. Wearable technology allows remote monitoring for healthcare professionals, saving time and money for both the company and the employee. You can click here to connect with a member of our expert team in benefits, who can work with you and your company on the latest trends for workplace wellness. Using information from their app, GasBuddy has ranked Orlando has having the seventh most aggressive drivers in the nation. With rankings that show Orlando drivers being nine percent more aggressive than the average driver, it’s the only city in Florida that cracks the top 10. Click here for the full list and more information. The rankings of aggressive drivers, construction factors, and the unpredictable dangerous weather is what makes the Florida auto insurance market so volatile. Our experts in auto coverage can discuss your options with you while looking at hundreds of carriers across the US. Click here to chat with one of our local experts.